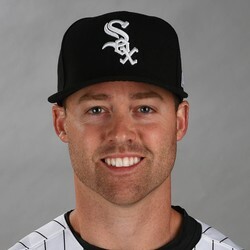 Elmore was brought up to the big league club from Triple-A on Tuesday and was inserted into the starting lineup at second base against Dodgers lefty Julio Urias. Elmore went 0-for-3 with a walk and a strikeout in the 6-5 loss. Elmore will serve as a utility player for the Brewers. He could get some starts at second base in place of Scooter Gennett against lefties as he did on Tuesday and see some time at third base and in the outfield. He was batting .320 with two homers and 13 steals in 57 games at Triple-A. Elmore's fantasy value is limited to deep NL-only leagues.